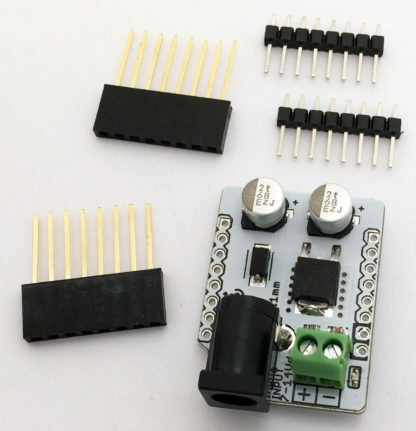 You cannot add "Power Shield for D1 Mini" to the cart because the product is out of stock. 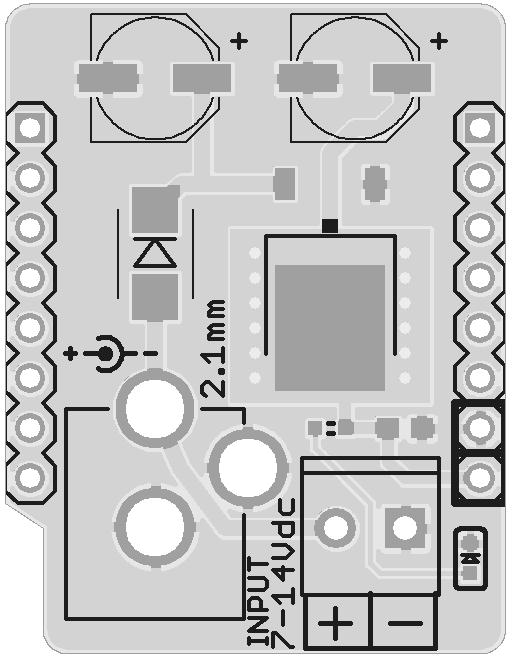 The WeMos D1 Mini is a fantastic little board based on the ESP8266 microcontroller with WiFi, but it needs 5V USB power to run. 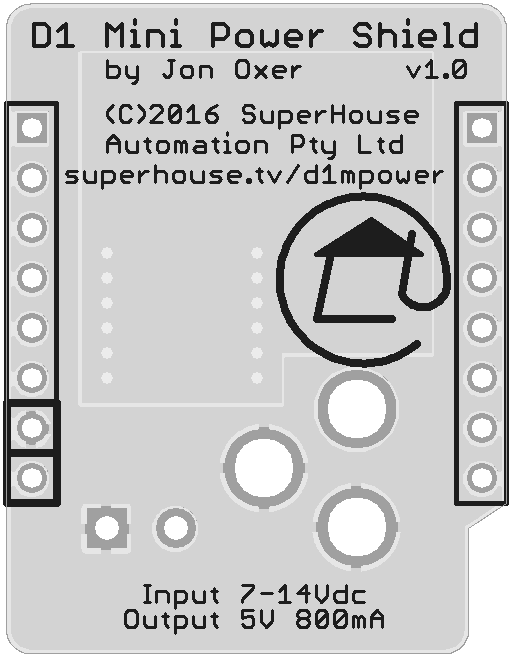 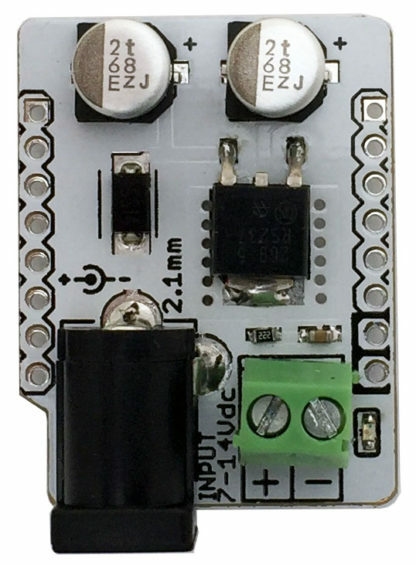 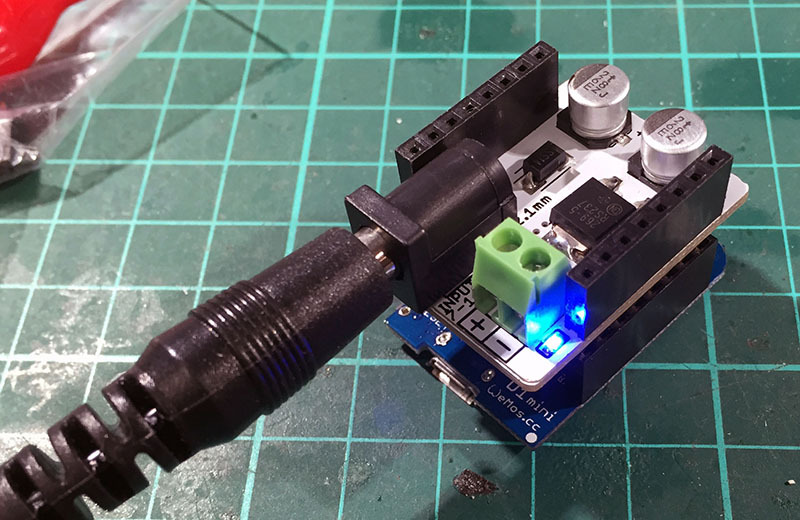 This shield from SuperHouse Automation gives the D1 Mini the ability to accept power from 7 to 14Vdc (up to 20Vdc in a pinch) via a 2.1mm DC jack or screw terminals. Very handy when you want your D1 Mini to run in a project without a USB connection. 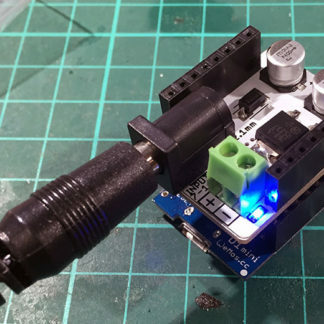 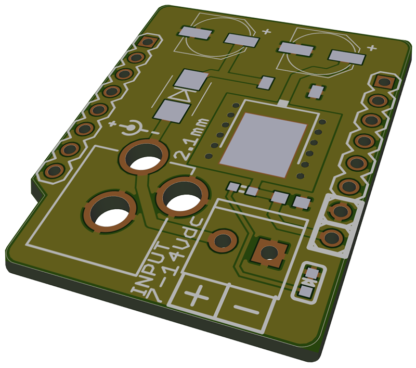 The shield has an onboard 5V regulator that supplies power to the D1 Mini via the shield headers, so all you have to do is plug it in and turn on power. Supplied with both regular pin headers and stacking headers, so you can decide which ones you want to use.